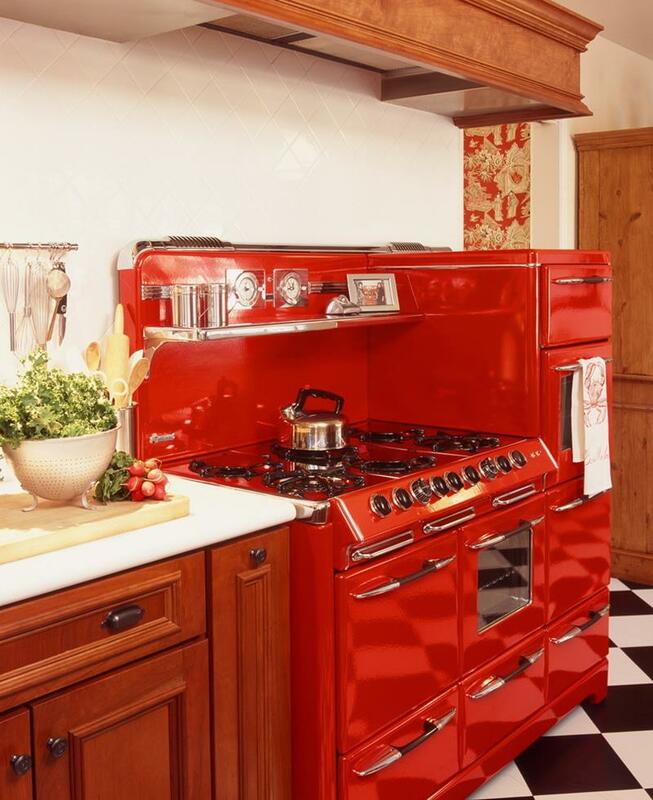 If you’re not ready to go full retro with your kitchen, there are a number of appliances out there that can add just a touch. 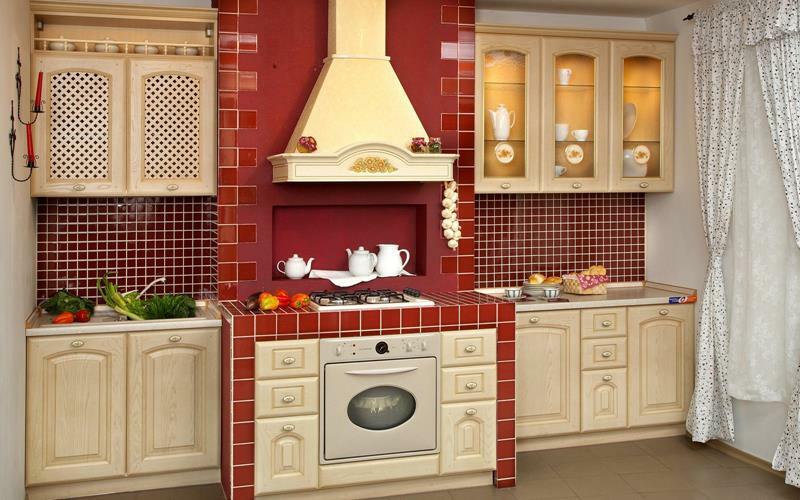 This retro kitchen is a stunning example of how there’s still plenty of flexibility in the design choices you make. 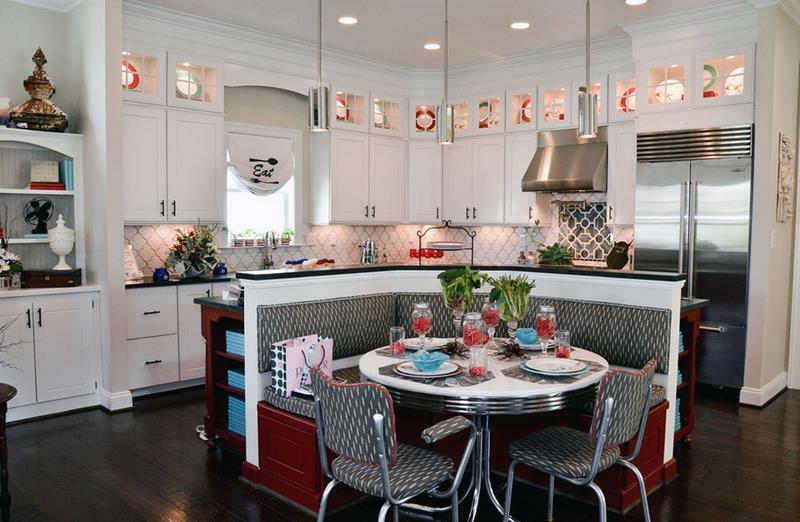 This kitchen is an excellent example of how retro design elements can be incorporated to great effect into a modern kitchen. 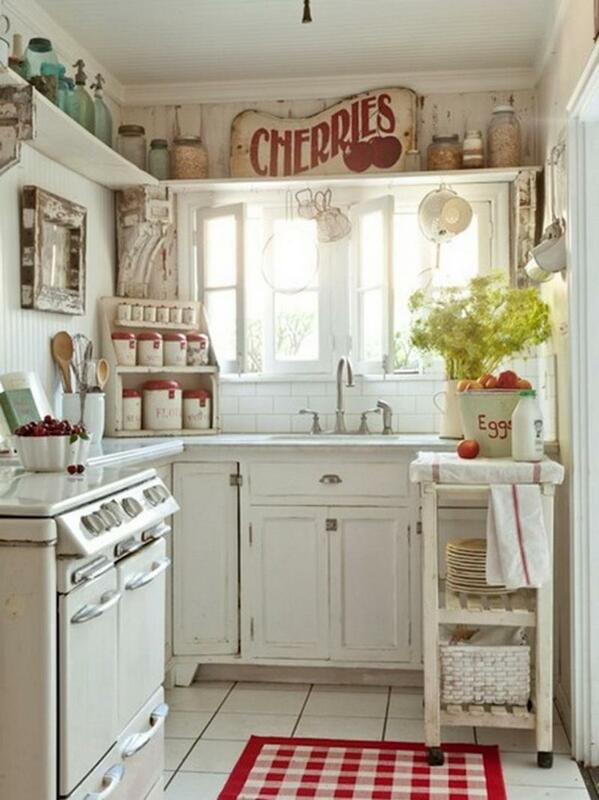 You saw a small kitchen earlier; this one’s tiny! See how beautifully the retro design aesthetic works for it? 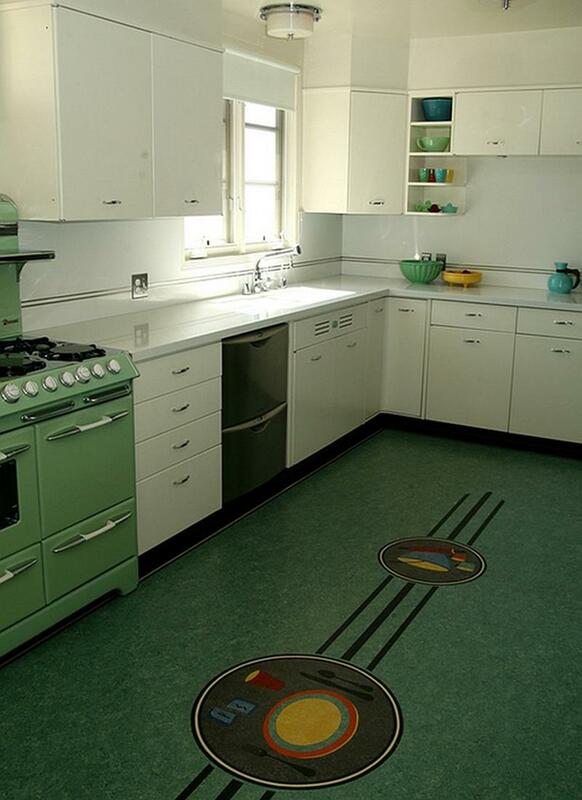 One of the reasons that so many enjoy the retro kitchen design is that it allows them to make wacky choices. Check out that floor! 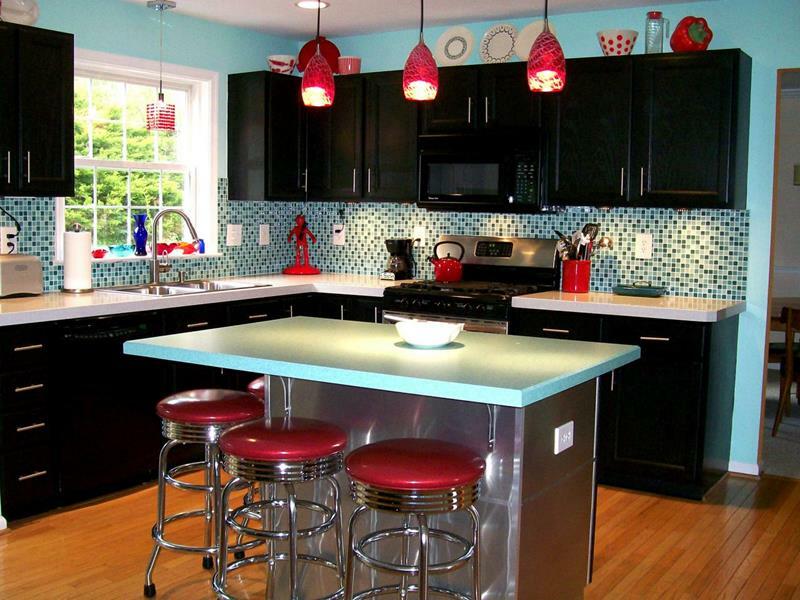 Your significant other won’t let you have a retro kitchen? Well, how can they argue with those attractive diner stools? There they are again!